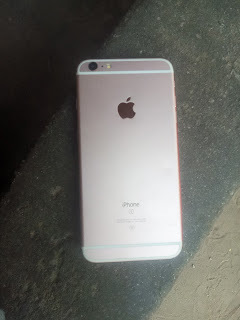 Phones At Naijaflake.com IPhone 6s plus for sale at Cheap price. This phone was given to us for advert, you can also post something like this by contacting us +2348067967646. The phone 📱 above 👆 is an iPhone 6s plus which the owner wants to sell at a very cheap price, the phone has a very good camera, both the selfie and the back camera are very good and clear as it can capture from a long distance. The phone has a 64gb Rom And a 4gb ram. Once you get the phone, you won't regret getting it. At NaijaFlake we are giving you a 6 months warranty for the phone . No Matter your location we are going to get it at your door step. To get this phone please contact the owner with the number above ^^ .. This phone is an already used phone, I bet you that you will love it. No matter where you stay get ready to see the phone as we have a pay to deliver service which I going to deliver the above mentioned phone at you door step. 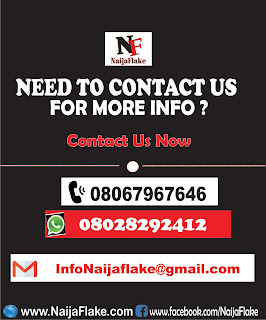 Remember To Contact Us Also To Get Your Product Advertised.